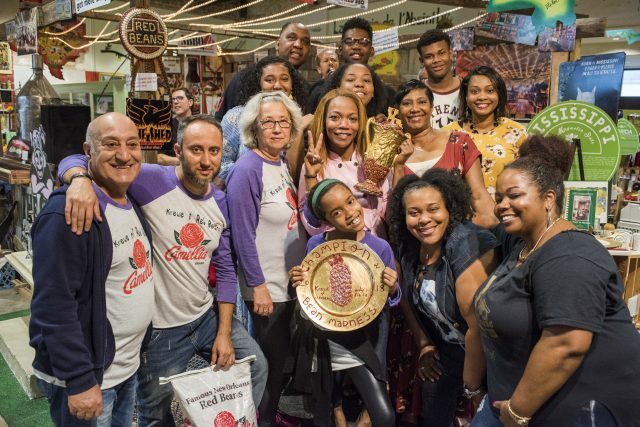 When Ma Momma’s House of Cornbread, Chicken and Waffles was announced as the winner of the second annual Bean Madness competition last year, the Southern Food and Beverage Museum sounded like a concert stadium as everyone erupted in cheers. “I told y’all when we walked in today, we came here to win. And we came here, and we won!” Rene “Chef Reero” Guzman yelled to a crowd whooping and clapping in support as she hoisted the “golden bean” statue high. And while many people grow up knowing that they’re destined for the kitchen, this champion—who bested 57 different competitors in the 2018 March Madness-style bracket tournament to take home the coveted title of “Legume d’Or”—had a path towards red beans glory that differed from many of her fellow chefs. Born in the Fischer Projects, Guzman moved to New Orleans East (where Ma Momma’s now proudly makes its home) at age 13. Her mother would make red beans several times a week while the children were in school, but was unable to help teach Guzman the way around the kitchen due to complications from disabilities. It was many years later that this fiery chef found that cooking came naturally to her. 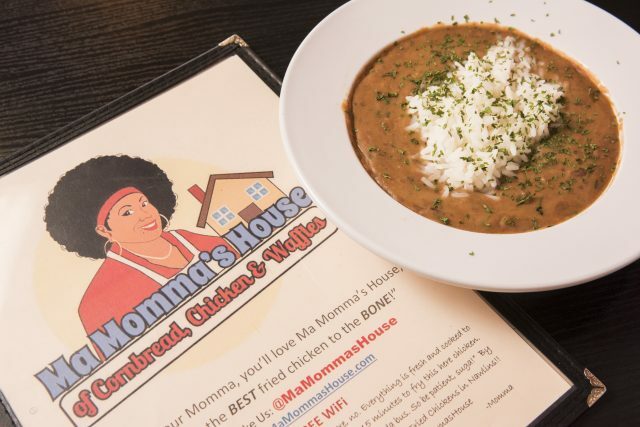 Opened in 2013, Ma Momma’s House has become a community favorite in New Orleans East, and a destination for those across the region looking for top quality Creole soul food. And while the waffles (which range in flavor from praline and cream to “bacon lovers”) and chicken draw crowds, for the past year, it’s been the title of “Bean Madness winner” that has packed the tables. 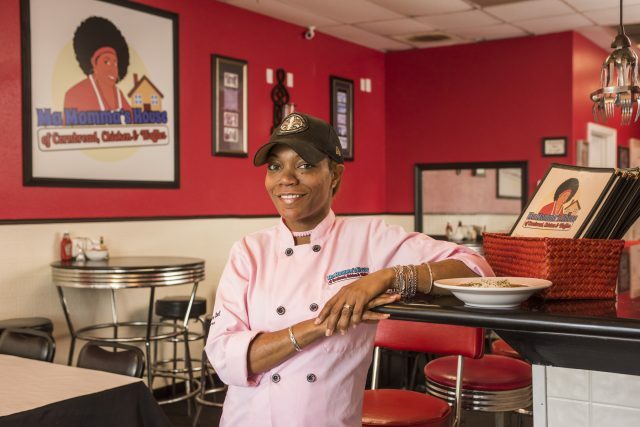 “We have Camellia Beans on deck—it’s poppin’!—and the [red] beans are good, y’all already know!” She told the crowd after her victory last April, wasting no time encouraging her giddy, bean-loving supporters to head to the restaurant. 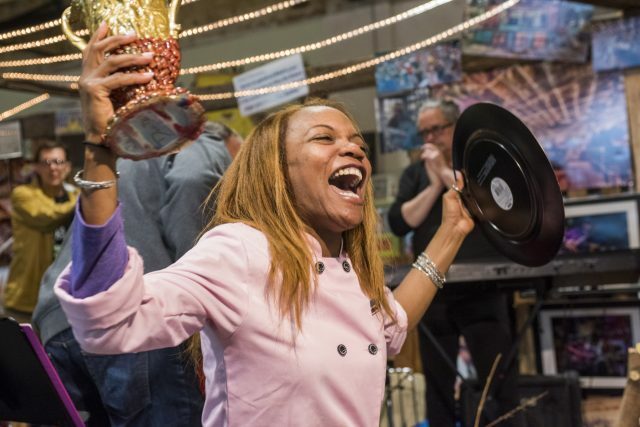 And while Ma Momma’s House won’t be taking home the top prize again this year after falling to Francesca by Katie’s, there’s no doubt that Chef Reero will be serving up her award-winning, signature beans to hungry revelers in search of championship-level red beans.